WHAT, AND WHERE, ARE THE LEFTS? 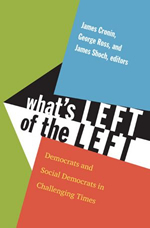 "What's Left of the Left provides the best synthetic overview available of center-left parties in Europe and the United States. 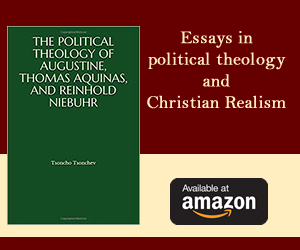 Focusing on their development and fortunes since the 1970s, this collection fills a striking gap in the literature in a knowledgeable and informative way." When the "great recession" hit in September, 2008, it seemed that an era had ended. Since the 1980s, if not before, a pro-market consensus had governed economic policy-making and constrained political options in the advanced countries. For three decades serious politics had been about relying upon markets rather than the state to generate growth and, to that end, extending the reach and remit of market forces. The "great recession" revealed the costs and consequences of such views and such policies and seemed to prove them wrong, or so many of us concluded. It was the end of "neoliberalism", a moment to rethink the role of government in the economy and to reassert the state's responsibility for growth and welfare; it was an opportunity, in short, for parties and movements of the left to regain the initiative. It did not happen. In most countries the center-left - and here we include traditional social-democratic parties, the Labour Party in Britain and even the Democratic Party in the United States -- failed to make progress and failed to win the argument about the nature of the economic crisis or how to respond to it. Across Europe socialist parties were mostly out of office in 2008 and stayed out of office, while their opponents gathered strength; Canada followed a similar path; and in Britain Labour would hold on for a full five-year term but then lose badly in 2010. In the United States Barack Obama's inspiring candidacy and widespread disgust at what George W. Bush had wrought created the conditions for a Democratic victory in November, 2008. Obama's win did not signal a broader political opening for the left, however, as he has himself painfully discovered. Nor has there been a return to Keynes and the more aggressive and expansionary policy stance that Keynesian theory would dictate. In the US and the UK, the initial response to the crisis did effectively follow Keynesian prescriptions, with the government keeping interest rates low and the adoption of a modest stimulus. In Europe, the stimulus was rather more modest. Soon, however, efforts to encourage growth were replaced by calls for retrenchment and for cutting deficits. Austerity and deficit reduction have become the top priority for Britain and Germany and, because of the key role played by the Germans in Europe, for the EU more broadly. The financial crisis in Greece and the potential for debt crisis elsewhere in southern Europe have led to a conviction that only rigidly conservative economic policies can restore stability. In the U.S., the Obama administration has resisted the move to austerity, but it has been forced to compromise repeatedly and has allowed to the stimulus package to run out without an effort to replace or renew it. So in terms of both politics - who gets elected - and policies - what those in power choose to do - the left has not done well in the "great recession". Why? There are basically three reasons for the failure of center-left parties and policies. The first and perhaps most important is that voters do not turn to the left in times of economic crisis. This may seem counterintuitive, for when capitalism falters, logic might suggest that the critics of capitalism should get their chance. For good or ill, that is not what has happened historically. Tough times produce fear and a quest for security that manifests itself in a preference for parties that promise order, stability and a return to the solid virtues of sound finance. Such a choice may well be bad for the economy, but it is nevertheless understandable. The second cause of center-left weakness is that parties of the center-left have been facing adverse trends for at least three decades and so faced the recent crisis in a diminished state. The decline actually began in the 1970s, when the mix of Keynesian economics and relatively generous social provision ran up against the problem of "stagflation", which was an awkward term for a genuinely new phenomenon: a toxic combination of slowing growth, with rising unemployment, and inflation that was out of control. The "misery index" that Jimmy Carter invented and that Ronald Reagan used so effectively against him in turn was a simple sum of unemployment rates and inflation but a reasonable measure of the new pattern that defeated government efforts at control. It was, of course, a temporary problem produced largely, if not exclusively, by the "oil shocks" of 1973-4 and 1978-9, but it produced a long-term shift toward conservative economic policies that privileged the fight against inflation over the effort to engineer growth and the market over the state. This turn to markets brought its own share of misery, but over time it led to renewed economic growth, and prosperity made the preference for markets, deregulation and lower taxes into a new orthodoxy. Eventually, parties of the center-left were all forced to conform to the new conventional wisdom and to develop programs that were compatible with it. Large-scale plans for state intervention in the economy were shelved or at least trimmed, efforts to expand social provision were likewise curtailed, and center-left parties were forced to tell their core supporters, public sector workers in particular, that they could no longer meet their demands for better pay and benefits, especially pensions. Adapting to markets and to a diminished role for the state and public provision was essential to restoring the electoral fortunes of the left. The examplar for this approach was Bill Clinton, a so-called "New Democrat", during whose administration budget deficits were reduced and the economy grew substantially. Tony Blair did much the same in Britain and called it "New Labour", and even in Germany the Social Democrat Gerhard Schröder signed on to the "third way" and co-authored a book of that title with Blair. Even when parties of the center-left "reformed" and sought center ground, however, they had to confront social and economic trends that made success harder to achieve and even harder to sustain. Society had changed since mid-century: prosperity eroded the sense of grievance among workers and reduced enthusiasm for redistribution; the working class was itself transformed as old industries declined and employment shifted from manufacturing to services; and trade unions, the great mobilizing force behind center-left politics, lost strength and became rather less popular with middle-class voters who came to resent their power and perquisites. Each of these shifts became more pronounced after 1980, and reduced the more or less automatic support that parties of the left could expect from their core constituencies. As the traditional working class declined and morphed into something different, new social groups and movements arose: white-collar workers and highly-educated professionals who supported neither right nor left consistently. They were typically socially liberal, even feminist, often favored public provision and were concerned about the environment, but they were not reliable supporters of the center-left. In consequence of all these trends, parties of the left had to work harder to win elections and governance would prove even more difficult as well as they tried to satisfy old and new constituencies in straitened circumstances. The third problem facing parties of the left was the legacy issue. Their main achievements - the construction and expansion of welfare states and the largely successful management of the economy during les trentes glorieuses - lay in the past and were either forgotten or eclipsed by the failure to cope with the economic crisis that defined the 1970s. There was also the still more recent memory of 1989. Social-democratic, liberal or labor-oriented parties had long been critical of the Soviet Union and the regimes they had imposed in Eastern Europe. Still, the collapse in the east came to symbolize the effective end of aspirations to use the state to engineer a better future and to transcend capitalism. The effect was to render policies and programs associated with the center-left less plausible to voters and even to their advocates. Parties of the left were therefore in a much weakened state when the "great recession" occurred and they were largely unable to take advantage of the opportunity it might have provided. They lacked the deep reservoir of popular support that tough choices and aggressive campaigning would have required; they were also not well-equipped intellectually and programmatically. Accommodating to the market may have been the only viable road back to office in the 1990s and early 2000s, but doing so deprived the left of a distinctive vision. They could fight on the grounds of competence, but the claim does not inspire and it might not even ring true. As a result, parties on the left side of the political divide, embattled even before the recent crisis, have languished since its onset. Can they come back and make a credible case to voters? Prediction is risky, but a few things seem clear. The left will continue to draw strength from the difficulties of their opponents on the right, who have yet to find a path to recovery and whose austerity policies alienate large blocs of voters. On the other hand, the center-left will need to create a broader coalition in order to replenish the depleted ranks of its core supporters. A broader coalition, of course, requires a more broad-based appeal that is not grounded in the past and on the promise to defend what exists but on a vision that promises a more just and humane future. It is likely, given the recurrent tendency of voters to seek security in hard times, that a revival of the center-left will have to wait until the worst of the present crisis has passed and voters are willing to place bets on the future. Still, it should happen.